Matisse inspired contemporary original acrylic still life composition by California artist Patty Evert would brighten decors from contemporary to coastal. The 15" x 15" image is painted on 20.5" x 24" heavy rag paper. "Symbols of Gigi I", Contemporary Still Life by Patty Evert. 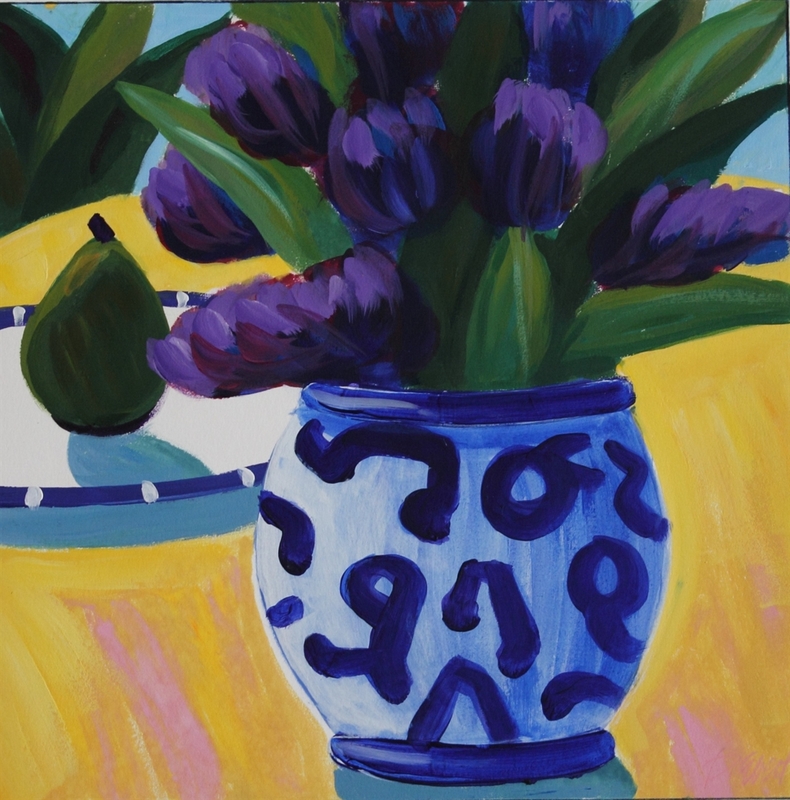 The joie de vivre of the South of France is captured in this Matisse inspired acrylic still life impressionist work by Patty Evert. A colorful addition for contemporary to coastal decors, the original acrylic work is 15" x 15" and is painted on 20.5" x 24" heavy rag paper. Unframed in a clear archival sleeve. Matisse inspired contemporary original acrylic still life composition by California artist Patty Evert would brighten decors from contemporary to coastal. The 15" x 15" image is painted on 20.5" x 24" heavy rag paper, titled and signed by the artist, unframed in a clear archival sleeve. Contemporary colorist, Patty Evert earned her B.A. from Carnegie Mellon University in 1980. Since her move to California in 1989 the artist has an extensive resume of commissioned pieces for the hospitality and entertainment industries. The joie de vivre of the South of France is captured in this Matisse inspired acrylic still life impressionist work by Patty Evert. Painted on 20.5" x 24" heavy rag paper, the original acrylic work is 15" x 15", signed and titled by the artist, unframed in a clear archival sleeve.